Gather on board tonight for your Welcome Dinner. This afternoon, you will have an excursion to ancient and picturesque Lamego, home to one of the most important pilgrimage sites in all of Portugal, the Nossa Senhora dos Remédios (Sanctuary of Our Lady of Remedies). The shrine features a staircase of nearly 700 steps, beautifully decorated with white and blue tiles. Other attractions include a Gothic cathedral, a museum, and charming cafés. Alternatively, you will have the opportunity to sample local traditional specialties such as Bolas de Lamego, bread filled with smoked ham, Presunto, a type of dry-cured ham, and Espumante, a Portuguese sparkling wine. Late this afternoon, you will visit a Wine Museum in Régua, where the ship will overnight. 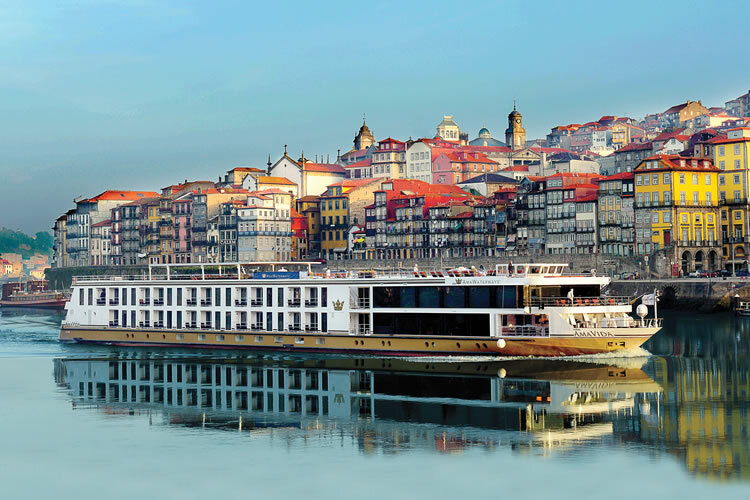 Spend some leisurely time soaking up the beauty of the Douro River as you cruise to Barca d’Alva, where you will visit Castelo Rodrigo. Tour Figueira de Castelo Rodrigo, a small fortified village perched high on a hilltop with centuries-old walls, steep narrow streets and fantastic views. We will stop to admire the Chafariz dos Pretos, a truly unique fountain decorated with black faces, and taste some delicious locally grown produce. Drive to Salamanca today for a tour of this UNESCO World Heritage Site, located at the centre of Spain’s Castilla y León region. Built of golden sandstone, Salamanca is known as a “living museum,” an opportunity to step back in time to the Middle Ages. During your guided tour, you will see the city’s elegant university buildings, the twin-towered Cathedral, the intriguingly decorated House of Shells, as well as Plaza Mayor, considered the most magnificent main square in Spain. Later, enjoy a Flamenco show in Vega Terrón. Today we have something special planned. You will indulge in an exclusive wine tasting and lunch at Quinta da Roeda, a famous estate that is home to one of the Douro Valley’s finest vineyards. This morning, cruise to Régua for a morning excursion to the Baroque-style Palacio de Mateus and its gardens, located in the beautiful Trás-os-Montes region near the city of Vila Real. Inside the house you’ll see exhibits of religious images and beautiful furnishings, paintings and ceiling of intricately carved wood. The gardens here are considered some of the most beautiful in Portugal. Alternatively, you may either wish to visit Quinta da Pacheca where you will enjoy breathtaking views over the Douro River and picnic in a terraced vineyard, or enjoy a port wine tasting at Quinta do Seixo. Return to the ship for lunch while the ship cruises to Entre-os-Rios, arriving this evening. Tonight, you will enjoy a traditional home-cooked Portuguese meal off ship at Casa de Vila Verde. Your ship arrives in Porto, the capital of northern Portugal, early this morning. Your guided tour of the historical quarter, a UNESCO World Heritage Site, includes a number of iconic sights: the Porto Cathedral, one of the city’s oldest and most impressive monuments, the bustling main square and the Sao Bento Railway Station, renowned for its magnificent blue and white tile panels depicting scenes from Portuguese history. More active guests may wish to instead take part in a guided hiking tour of Porto where they will explore the old harbour quarter, passing through the medieval streets of Porto, and cross the Dom Luis Bridge by foot. You’ll also enjoy a tasting of port wine, which derives its name from this very city. 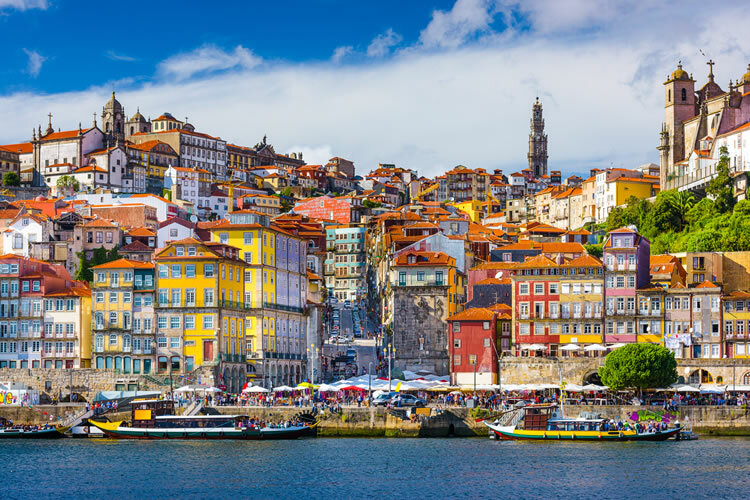 A third option is a walk along the Atlantic coast and Porto’s seaside promenade, with a stop at a local café for Portuguese coffee. This afternoon, we take a short journey to the nearby coastal town of Matosinhos, where we will visit a traditional restaurant for a cooking demonstration of Pataniscas, a traditional Portuguese cod fish cake, and other typical regional snacks. The ship moors overnight in Porto. After breakfast on board, disembark AmaVida. Terms and conditions apply. All offers are subject to availability and operators booking conditions. Prices are based on two passengers sharing the lead in grade stateroom unless otherwise stated. All discounts have been applied to fares displayed. Prices for June, October & November are cruise only, to add flights and transfers please call Fares and offers are subject to availability and may be changed or withdrawn at any time. Savings of up to 25% and free flights are valid on new bookings only made by 30th April 2019. ‘Fly for Free’ flights are based London Heathrow, London Gatwick, Birmingham or Manchester only. Flight schedules and airlines are fully at the discretion of AmaWaterways and will be confirmed at the time of booking. Supplements may apply for alternative airlines or flight schedules. Cancellations are subject to full loss of deposit once flights have been confirmed. We charge a one-off small £20 booking fee. That’s it - nothing more and no add ons when you pay the balance. E&OE. ABTA P6710.